Fees associated with Bulgarian PCT national phase entry as well as other patent fees are available in the fee calculator. The PCT application must be filed in Bulgaria within 31 months from the earliest priority date. The extension of this deadline is not possible. - specification and drawings in any language. The official language is Bulgarian. If the PCT application was filed in any other foreign language, translation into Bulgarian should be provided within three months from national phase entry. This term cannot be extended. 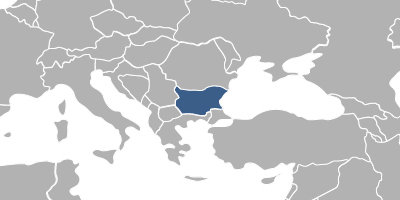 The official legalisation is not required for the Bulgarian national phase entry. The signed and stamped POA may be submitted within three months from entering the Bulgarian PCT national stage. The substantive examination on Bulgarian patent application based on PCT should be requested together with the entry into the Bulgarian PCT national phase. The Bulgarian patent application may be amended during its pendency in the patent office until the decision to grant a patent is taken. A Bulgarian PCT application may be filed within six months after the disclosure at an officially recognized exhibition. Foreign applicants must perform the PCT national stage entry in Bulgaria through an agent, registered in Bulgaria patent attorney. 1. Online Database for European Patents (EPO) Search. 2. The PCT application in Bulgaria may be nationalised via registration of the European patent and its further validation in Bulgaria. 3. PCT applications may also be protected as Utility Models in Bulgaria, which are subject to formal examination only. Methods, chemical compounds and use of a product are not protectable. Time frame for registration of utility models is 12-18 months. Initial protection term is 4 years with two renewals, 3 years each.